As a big storm approaches, two strangers arrive in the forest. All the animal families, safe in their homes, are worried. They wonder, “What are they doing there? What do they want?” So, as the pair knocks at the door of one home after another asking for shelter, all the animals turn them away. But then an accident suddenly forces the fox family out into the snow and the foxes must ask these outsiders for help. Will they find it in their hearts to give it? This book provides a wonderful opportunity for discussions about being welcoming and helping others in need, including how children can put this into practice by reaching out to the “new kid” or the one who seems different. Every baby, child, and grownup in the world has human rights. They were first proclaimed in 1948, when the world said “never again” to the horrors of the Second World War. It was then that the Universal Declaration of Human Rights was born. Human rights are rooted in values such as fairness, truth, equality, love, home, and safety. Join one little pigeon as she sets out on a journey to spread a message of hope and tolerance around the world. 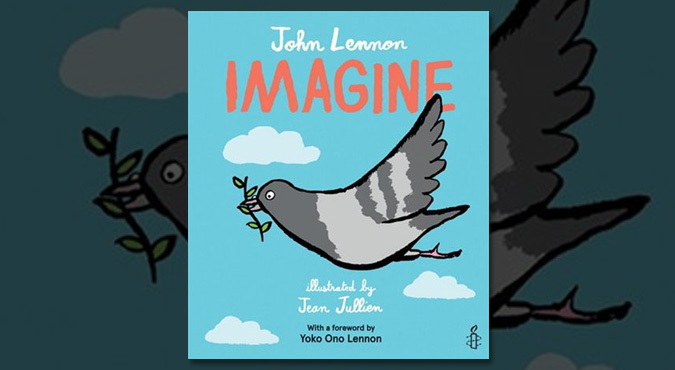 Featuring the lyrics of John Lennon’s iconic song, this poignant and timely book dares to imagine a world at peace. 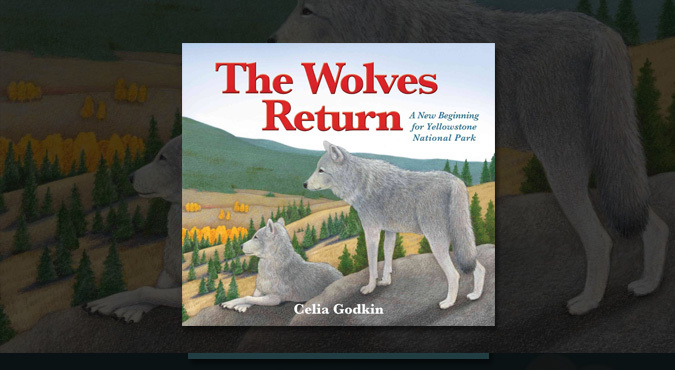 The Wolves Return chronicles how twenty-three Canadian gray wolves were released in Yellowstone National Park where, due to over-hunting, there had been no wolves at all for almost seventy years. This reintroduction project was an overwhelming success, bringing positive changes to the diversity of the park. This true story offers an important lesson about the difference one creature can make in creating a healthy, thriving world. This vibrant picture book encourages children to show love and support for each other and to consider each other’s well-being in their everyday actions. 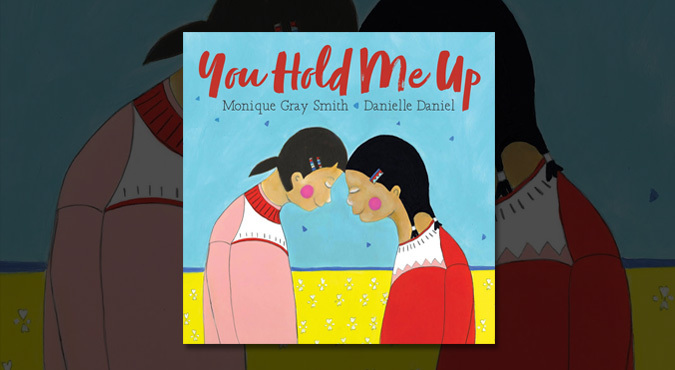 Written to prompt a dialogue among young people, their care providers and educators about reconciliation and the importance of the positive connections, You Hold Me Up is a foundational book about building relationships, fostering empathy and encouraging respect between peers. Everyone knows that when Humpty Dumpty sat on a wall, Humpty Dumpty had a great fall. But what happened after? 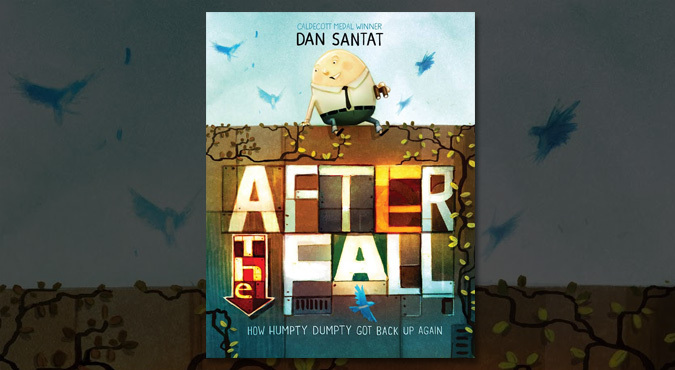 Caldecott Medalist Dan Santat's poignant tale follows Humpty Dumpty, an avid bird watcher whose favorite place to be is high up on the city wall―that is,until after his famous fall. Now terrified of heights, Humpty can longer do many of the things he loves most. Will he summon the courage to face his fear? 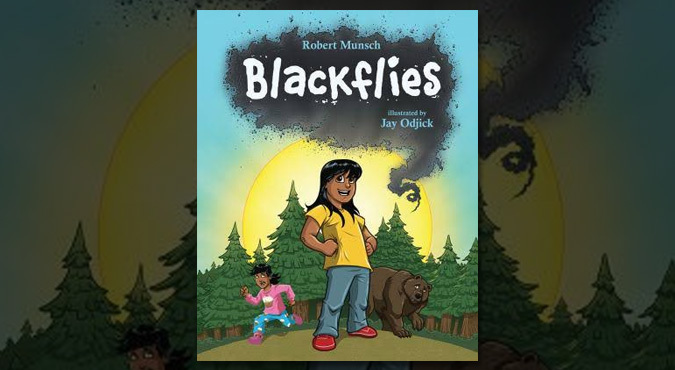 From bestselling author Robert Munsch comes a story with a truly Canadian problem. One day Helen wakes up and it’s SPRING! The snow has melted and the sun is shining. But Helen knows that the blackflies will be coming out soon. So she does what any smart kid would do: she sends her little sister outdoors to check! When the blackflies and mosquitoes carry her away, Helen tells her dad, who rushes outside and is carried away himself. Now Helen needs to rescue BOTH of them, along with a wolf and a very clever bear . . .
Did you know that the earth is covered in three trillion trees? And that seven billion people weigh about the same as ten quadrillion ants? Our world is full of constantly changing numbers, from a hundred billion trillion stars in space to thirty-seven billion rabbits on Earth. Can you imagine that many of anything? 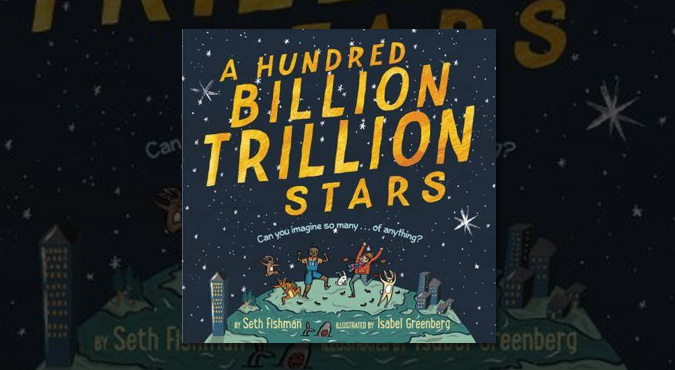 Here is a book for story time, for science time, for math time, for bedtime, and all the times in between. 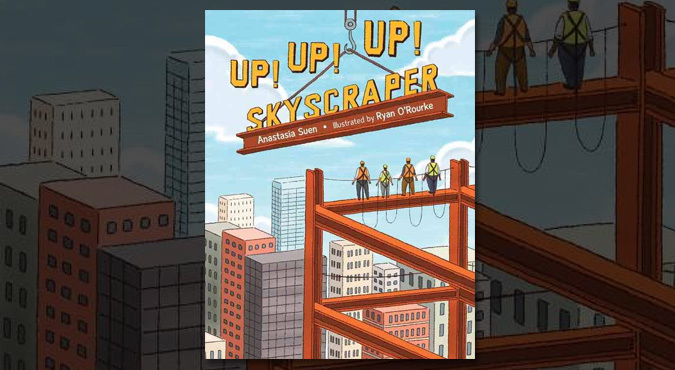 Snappy rhymes invite young readers to watch workers dig, pour, pound, and bolt a skyscraper into existence. Simple yet satisfying sidebars provide further information about each step in the construction process. Quirky, colorful art enhance the appeal of a construction site with all the equipment and sounds of building. 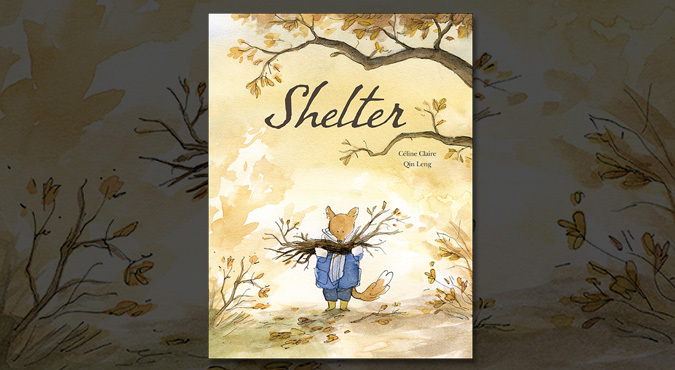 This delightful picture book perfectly depicts what children go through when confronted with something difficult. Spires sensitively portrays Lou procrastinating, making excuses, imagining alternatives and denying she cares. Ultimately, Lou faces her fear, and although she fails, the effort empowers her, encouraging a growth mindset. All the while, Lou's friends model compassionate friendship. 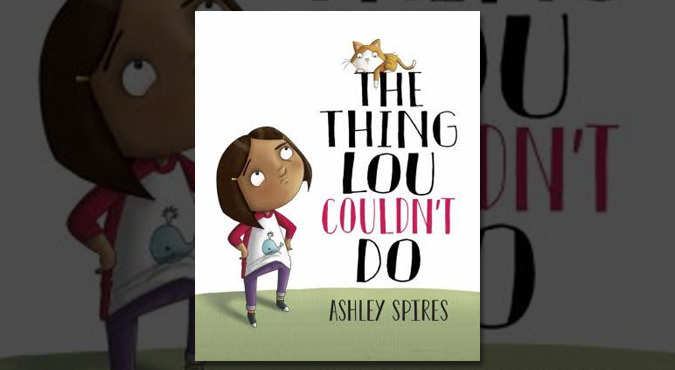 This book makes a perfect choice for a character education discussion about courage or resilience. Around the world, water appears in many forms: a snowflake, an oasis, the stream from a faucet, monsoon rain. In Water's Children, twelve young people describe what water means to them. The descriptions are as varied as the landscapes the speakers inhabit, but each of them also expresses, in their own language, a universal truth: Water is life. 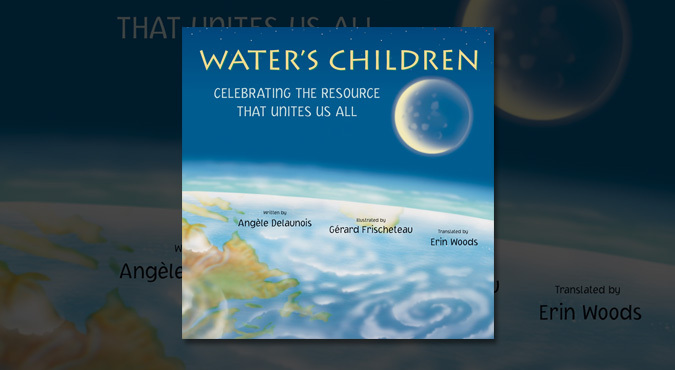 Accompanied by glowing illustrations, Water's Children is a celebration of our world's most precious resource and will encourage thoughtful discussion among young readers and listeners.